The Paediatric Oncology Department at Motol hospital treats children with cancer. The clinic is led by Professor Jan Stary and provides comprehensive Pediatric Oncology care for pediatric patients of all ages. The clinic includes several wards, including ICU and transplant units, specialized outpatient unit, day care center and extensive laboratory facilities. Currently, the Pediatric Hematology and Oncology unit successfully treats more than 80% of all pediatric patients. 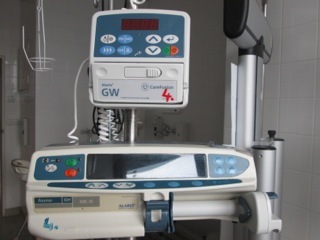 Charity Gala has been sponsoring this department for several years and so far we have supported the purchases of five infusion pumps per year, contributed to the restoration of the oncology garden, purchased beds for intensive care and 40 new chairs for the wards for the parents which pull out to beds. Your donations mean that we can continue to support this life saving department at Motol hospital. For more information (currently only in Czech) please go to www.fnmotol.cz/microsite-kdho/.